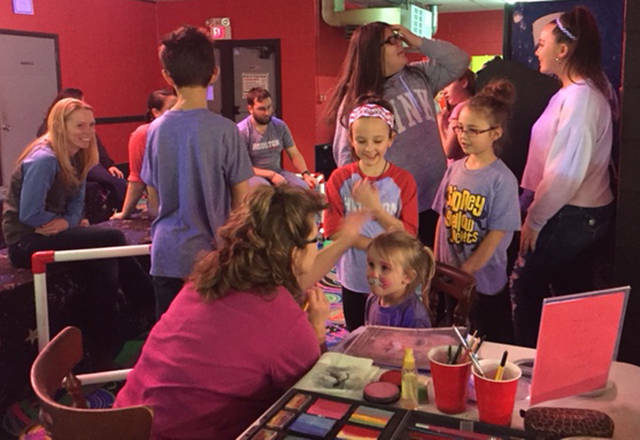 Big Brothers Big Sisters of Shelby & Darke will hold its annual Roll for Kids’ Sake on Feb. 17 at The Skate Place in Greenville and Rolling Hills Skate in Sidney. GREENVILLE – Big Brothers Big Sisters of Shelby & Darke will hold its annual Roll for Kids’ Sake on Feb. 17 at two locations and times. In Darke County, the party will be held from 6:30-9 p.m. at The Skate Place in Greenville. In Shelby County, the party will take place from 6-10 p.m. at Rolling Hills Skate in Sidney. The parties are open to the public and benefit Big Brothers Big Sisters of Shelby & Darke County. The cost is $10 per person and includes admission, skate rental, door prizes, the chance to win raffle prizes and other entertainment. With it being President’s Day weekend, this year’s theme is “American Pride” and the first 50 people dressed in patriot attire will receive a gift. All proceeds will benefit the agency’s Big Buddies after-school mentoring programs, which are held at seven school locations throughout the two-county area. Big Buddies is a nine-month commitment in which high school students volunteer two times per month to mentor elementary students. During these meetings, high school students, under the supervision of Big Brothers Big Sisters staff, work with one or two children on educational and recreational activities. This year’s curriculum is titled “Mindfulness: Healthy Minds, Healthy Bodies” and focuses on brain development, social and emotional growth, nutrition and exercise. Big Brothers Big Sisters is a non-profit, United Way partner agency and is supported through financial contributions and annual fundraisers. The next major fundraiser, Bowl for Kids’ Sake, will be held on March 1 and 2 at both Bel-Mar Lanes in Sidney and Treaty Lanes in Greenville. Anyone who would like to make a big difference in the life of a child, either through volunteering, financial contribution or event sponsorship, should contact the agency at 937-492-7611, 937-547-9622 or go to www.bigbrobigsis-shelbydarke.org for more information.